“Something Good” is a heart-felt contemporary romance with themes of trust and redemption featuring characters you’ll identify with and root for! Trans Canada Romance Writers and our sponsor, Still Moments Magazine, would like to thank all entrants for participating in the 2015 Maple Leaf Awards and for making our annual writing competition a success. 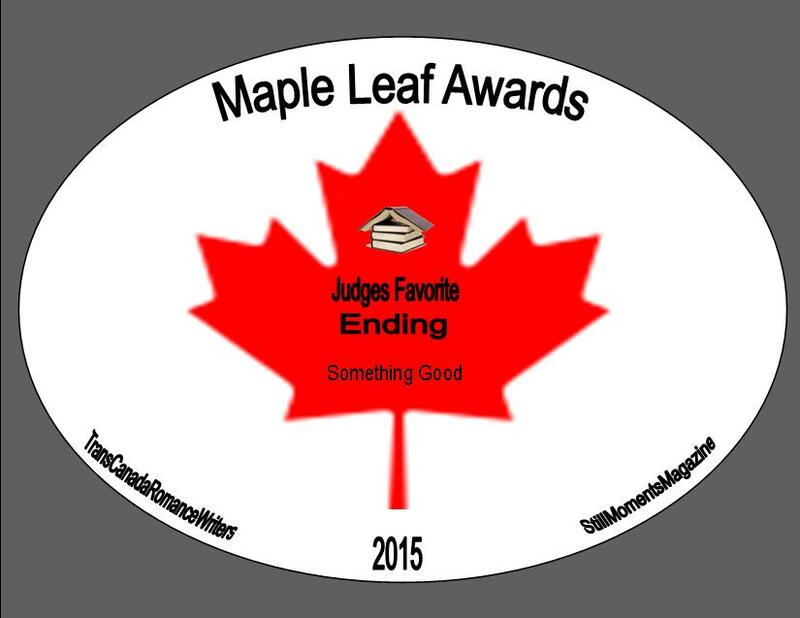 We look forward to the 2016 Maple Leaf Awards! – Mandi is stuck, spinning her wheels in dead-end jobs. Meeting Lane has a profound impact on her and the way she sees her life. Consider ways in which others have had a significant impact on your life. Has anyone changed the course of your life? – Consider the family relationships in the novel. What are some of the issues that put Mandi at odds with her parents? Can you relate more with Mandi or her parents? – Mandi feels she must make peace with her past before she can move on. She fears the future because of deeds in her past. Can she make things right? Can doing “something good” make up for doing something bad? Discuss her desire/need for redemption.